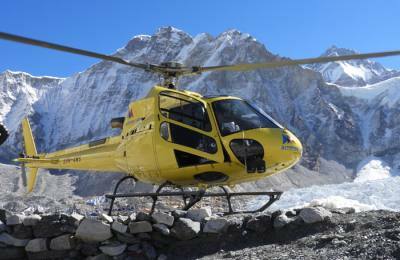 The Everest region (Khumbu) Trek is one of the most popular trekking destinations in the world. 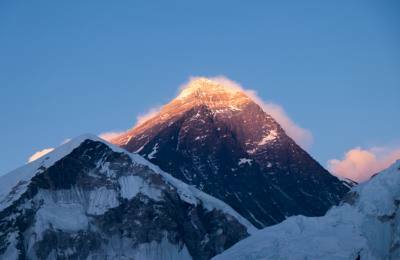 It is not only home to the highest mountain in the world, Mount Everest (8848m), but also the home of a kind and friendly people. The Everest Region is protected by the Sagarmatha National Park to ensure sustainable trekking and sufficient livelihood for the people living in the Khumbu region. 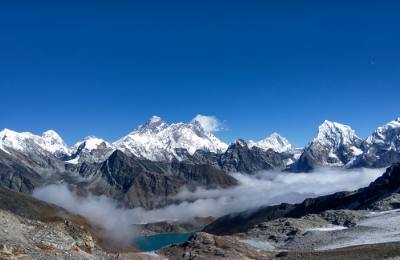 The Everest Region provides ample trekking routes for Trekkers and mountaineers of all abilities. From the Gokyo Trek to the Everest Base Camp Trek, people of all ages and abilities are sure to be enchanted by the beauty and views throughout this region. At Himalayan Joy Adventure, we are committed to planning a trek that will fit all of your needs and providing an opportunity of a lifetime. Sometimes known as the Kingdom of Himalayas, the Everest Region covers a vast area of many different landscapes providing ample trekking routes for people from around the world. The diversity of landscapes and multiple peaks provides many options for people to customise their trekking experience. 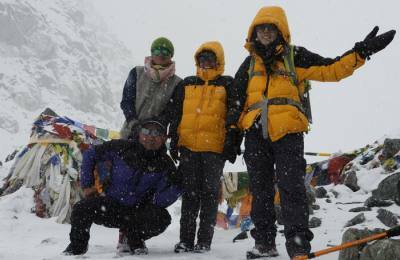 Our most popular treks through the Everest region include Everest Base Camp Trek, Three Passes Trek (Renjo-La, Cho-La & Khongmala), Gokyo Valley Trek, Everest View Trek, Everest base camp helicopter tour and Jiri Everest Base Camp Trek. In addition to treks, Himalayan Joy Adventure also leads peak climbs and mountain expeditions. Regardless of your trekking preferences, you are sure to experience remarkable views in the Everest Region including Mount Everest, Lhotse, Nuptse, Makalu, and Thamserku. 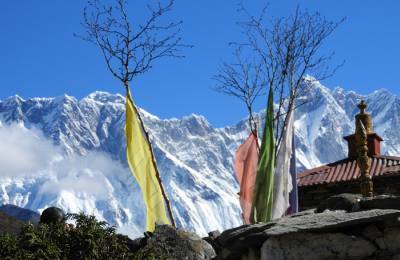 In addition to the remarkable landscapes, the Everest Region is rich with culture and religion. The trails have numerous Buddhist stupas, prayer wheels, and Mani walls throughout. On each of our Everest RegionTreks, you will have the opportunity to see many different majestic peaks, ancient Buddhist monasteries, and Sherpa Villages. The views of Mount Everest are incredible from Kala Patthar (5545m) on our Everest Base Camp Trek, the landscapes in throughout the Gokyo Valley are magnificent, including the views from Gokyo-Ri (5300m), and the Three Passes Trek offers a truly thrilling adventure for trekkers. Regardless of which trek you chose, Himalayan Joy Adventure is committed to providing you with the best possible service and planning the trek of your dreams. Our highly qualified staff will guide you through every step of the way, ensuring that you have a safe and enjoyable experience. Although trekking in the Everest region trek is possible throughout the year, we recommend you plan your trek in Autumn (September to November) and Spring (March to May). The rhododendron flowers are in bloom during April and May, making for an extra colourful trek! At Himalayan Joy Adventure, we tailor each of our itineraries and treks to meet the needs of our travellers. Please contact the Himalayan Joy Adventure office to begin planning the perfect trek for you!